One for the retro lovers, these two new Rado Tradition 1965 Limited Edition watches are inspired by the Manhattan skyline and celebrate one of the brand’s creations from the 1960’s with a similar rectangular aesthetic. 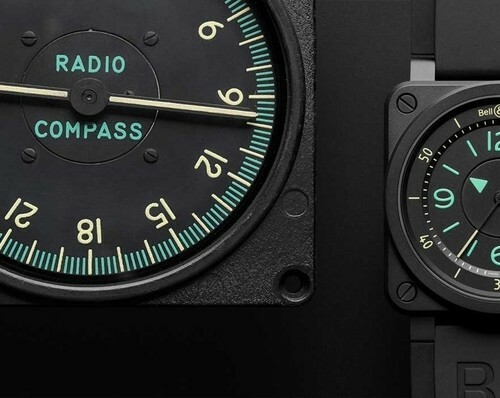 Boasting an over the top geometric design, Rado have hit the sweet spot by releasing a vintage inspired timepiece that for once isn’t focused on aviation or sport. Each Rado Tradition 1965 Limited Edition watch offers something suitable for both men and women with the Tradition 1965 Medium (steel and tan brown leather) measuring to 35mm wide and the Tradition 1965 XL (titanium and dark brown leather) measuring to a larger 44mm. Both models are limited to a foreseeable 1,956 pieces. The Rado Tradition 1965 XL is likely to be the most popular of the two thanks to its classic blue and black colour theme, lightweight titanium case and impressive automatic calibre. The ETA C07.621 is going to be a huge selling point since it offers an incredible 80-hour power reserve and high-quality precision. The vertically brushed blue dial is fitted with striking rectangular shaped markers and a bright red Rado anchor logo at 9 o clock adding to the retro finish. The Rado Tradition 1965 XL Limited Edition watch comes on a dark brown leather strap with a titanium folding clasp and unlike its counterpart includes a day and date feature at 3 o clock. Meanwhile the Rado Tradition 1965 M watch comes at a smaller size of 35mm and sports a slightly more feminine aesthetic with a silver and tan brown combination. This model also boasts an automatic calibre but this time the ETA 2671 with a power reserve of 38 hours and a higher frequency of 28,800 vph compared to the 21,600 vph of the larger model. Its sleek silver toned dial comes equipped with the same “tuning fork” style hour and minute hands as its counterpart, a date window at 6 o clock and a red Rado logo at 9 o clock. The Rado Tradition 1965 M Limited Edition watch comes on a cognac tan coloured leather strap with a stainless-steel folding clasp. Rado is making us wait for these two Tradition 1965 Limited Edition watches with the current release date set for August. But if you’re like us and you can’t wait, you can place a pre-order for the model of your choice here.